Includes 1-year warranty with option to extend. The new NeuraLabel Sprint can print from one to thousands of labels. 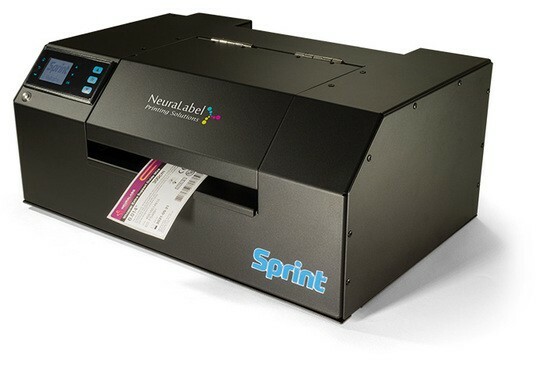 The all-new Sprint is the latest in label printing technology from NeuraLabel. This innovation is the perfect solution to those who require short to medium print runs, but still require the same full-color, high resolution print quality you have come to expect from NeuraLabel. The Sprint is constructed with durable and lightweight aluminum so your printer will last a lifetime. ** Label media meeting the required specifications and containing relevant markings may be used. For BS5609 compliance, use certified label media for best results.